When you’re struggling to hear, it feels like anything is an improvement. But there’s a key distinction in the choice of hearing aids vs cochlear implants, one that you have to navigate with care. Here, we’re breaking down everything you need to know about the difference between cochlear implants and hearing aids and how to choose the right device for you. First, let’s talk about the device you’re probably most familiar with: hearing aids. A hearing aid is a small electronic device worn in or behind your ear. It helps a person hear quiet sounds or pick out sounds in noisy situations, allowing the wearer to interact more fully with those around them who have stronger hearing. The hearing aid uses these three components to transmit sound to your ear, sort of like a secondary ear. The microphone picks up a sound, which is then converted into electrical signals for the amplifier to read. The amplifier boosts the power of the sound and sends them through the speaker for you to hear. Note that this isn’t the same thing as making sounds louder. In fact, many hearing aids can be fitted for individual needs. For example, let’s say you can hear speech but have trouble distinguishing words. Modern digital hearing aids have gotten better at reducing feedback and background noise, making it easier for you to hear what someone is saying to you. This specificity of functioning is part of why there are many different types of hearing aids on the market. Each of these hearing aids serves a different purpose for the wearer. In-canal hearing aids are fitted directly to your ear canal, making them one of the least-visible hearing aids, while behind the ear hearing aids have the most capability (but are also the most susceptible to interference, like wind). Hearing aids are most beneficial to a specific group of people: those whose hearing loss can be more or less corrected with sound amplification. The best candidates for hearing aids are those whose auditory nerve, cochlea, and other essential anatomical elements of hearing are intact but for a loss of hearing within a certain range. If the only real problem is hearing sounds at a certain volume or distinguishing sounds, then hearing aids are a good option. With that in mind, let’s talk about cochlear implants. A cochlear implant is like a hearing aid in that it is a small digital device that boosts a person’s hearing in order to interact naturally with others. However, unlike a hearing aid, a cochlear implant is usually reserved for those with severe forms of hearing loss who cannot benefit from a hearing aid alone. As the name implies, a cochlear implant is surgically implanted under your skin behind the ear. Why would you get a surgical implant instead of hearing aids? Because cochlear implants and hearing aids do slightly different things. Hearing aids work to amplify sound outside the ear. If we dramatically oversimplify it, a hearing aid is more or less like a combined microphone and speaker system. It doesn’t modify the ear itself–it modifies the sound before it reaches the ear. Cochlear implants go one step further and directly modify the ear, which is why they have to be surgically implanted. Once implanted, they redirect sound from the damaged inner ear (the cochlea) and directly stimulate the auditory nerve. The function of cochlear implants tells you something important about who would most benefit from an implant. Hearing aids work best on someone whose ear is more or less functional but has lost a certain range of hearing. Unfortunately, not everyone can benefit from sound amplification through a hearing aid because the quality of sound isn’t the problem. For some people, the problem lies in structural damage to the cochlea or inner ear. Because of this damage, it doesn’t do any good to amplify sound, because the amplified sound cannot be transmitted through the cochlea to be processed by the auditory nerve. Cochlear implants are most beneficial to those with severe hearing loss, specifically hearing loss that lies in anatomical damage to the inner ear. So, instead of boosting sound to make the ear work, the implant bypasses the faulty system altogether to restore hearing. 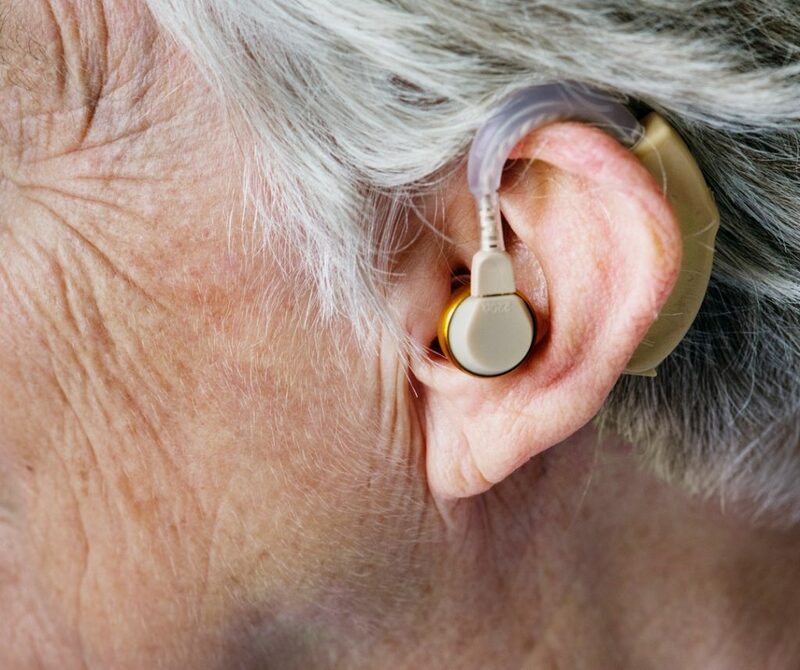 So, what’s the difference between hearing aids and cochlear implants? Put it this way: if hearing aids are like glasses, then cochlear implants are like laser eye surgery. As the name implies, hearing aids are a boost to a more or less functional system. Everything would work fine if only sounds were within the range that your ear could discern. Cochlear implants are something different. For someone receiving a cochlear implant, the range of hearing isn’t the issue. The issue is that the cochlea can’t transmit the messages it receives. So, a cochlear implant provides a bypass system to send messages to the auditory nerve. Life is too short to be held back by your hearing. You want to be able to have meaningful conversations with your loved ones, listen to beloved music, experience the world through sound, and enjoy life the way you used to. The choice of hearing aids vs cochlear implants isn’t the choice between two devices–it’s the choice between two tools that will help you live your life more fully. If you need more information, check out our blog for more helpful posts, like this introduction to analog vs digital hearing aids.